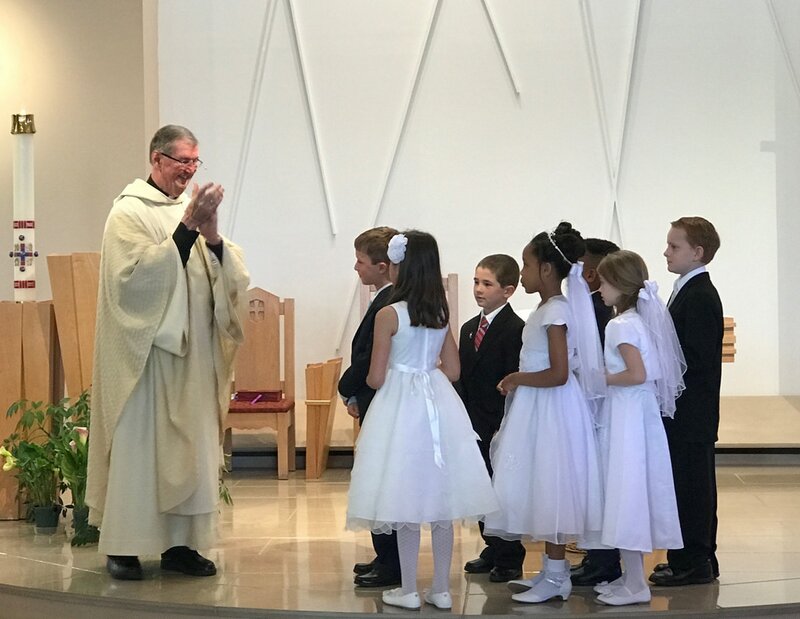 Our baptized parish children are eligible to celebrate this sacrament for the first time if they are in the second grade or higher of Catholic education, are properly disposed, have been adequately prepared and have celebrated the sacrament of Reconciliation. First Eucharist is celebrated in April/May of each year. Our parish also upholds the Archdiocesan policy that requires the young candidate to have religious education for a least two consective years prior to the celebration of this sacrament for the first time. For this reason, children should begin Catholic education in First Grade. Parents should contact the Director of Religious Education if the child attends first grade in a private school. Parents of children who do not attend our parish Religious Education Program are asked to complete a Sacrament Registration Form 2018 - 2019 and send it to the DRE: Tara Penza rel.ed@stvparish.org.